Yamabe Toshiro (山部俊郎, 31 July 1926 - 2000) was a Japanese 9-dan professional of the Nihon Ki-in. He was a pupil of Mukai Kazuo and became known as one of the Three Crows (together with Fujisawa Hideyuki and Suzuki Keizo). 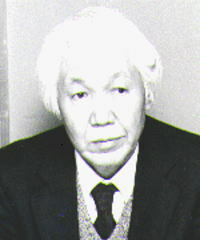 Yamabe challenged for the 1959 Oza, 1965 Honinbo and 1980 Tengen titles, and became editor of the Gendai Joseki Jiten, a notable joseki dictionary. He is also remembered for playing the longest recorded professional game, 411 moves, against Hoshino Toshi in the 1950 Oteai. Anonymous: The game is well worth reading and is available from GoBase.org.